Welcome to the first edition of Secretariat Quarterly, the new e-newsletter of the Western & Central Pacific Fisheries Commission secretariat, prepared for member countries, participating territories and observers. Welcome to Secretariat Quarterly, the new e-newsletter from the Secretariat of the Western and Central Pacific Fisheries Commission. You are receiving this as a member, participating territory or observer. This quarterly publication will keep you updated on Commission news and the work of the WCPFC Secretariat team. to support the Commission to act more firmly and rapidly on the stock status and their management implications. My first few months in the role have given me an opportunity to reflect on how the Secretariat can most effectively achieve these objectives and I am pleased to report some progress. One of our first priorities has been a Communications Plan, to develop a framework for deeper engagement with our stakeholders. This newsletter is one of the first initiatives from that plan. I have also commenced a road show to meet as many people as possible. To date I have attended the recent FFA, PNA and IATTC meetings and will shortly participate in the Northern Committee meeting, as well as accompanying the Commission Chair, Rhea Moss-Christian, on visits to the major Asian longlining countries. While serving Member countries and territories is a priority, the Secretariat intends to engage more meaningfully with observers too, especially NGOs and fishing industries. We want to bring as many perspectives as possible to the work we do. The WCPFC has a clear vision: the proper and sensible utilization of fisheries to meet the reasonable and sustainable demands of current generations, without compromising the ability of future generations to enjoy and benefit from the same resources. The vision may be clear but achieving it won't be easy. The plain truth is that it's not feasible for any one member, or group of members, to get entirely what they want. In this complex environment, compromise and cooperation are critical. The Commission provides a forum for dialogue, hopefully in a spirit of give and take, so that everybody returns home with something to show for their efforts. Certainly it is in everybody’s interests – regardless of their groupings or economic or environmental positions – to ensure that fishery resources are managed sustainably. As always, the Secretariat will continue to support the Commission to achieve its objectives. We also look forward to members' meaningful participation, cooperation and support in working together with our team. 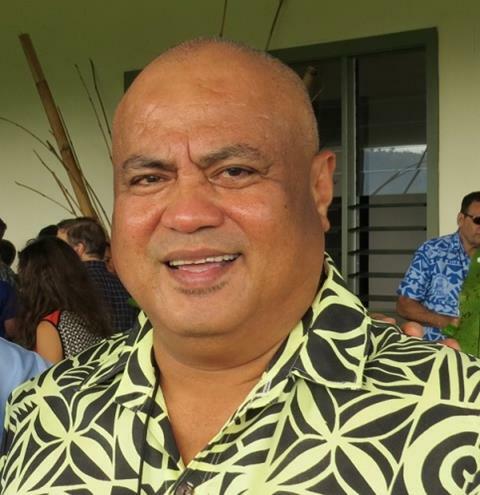 The 11th regular session of the WCPFC's Scientific Committee will convene in Pohnpei from 5-13 August 2015, chaired by Mr Ludwig Kumoru of Papua New Guinea. reviewing Commission supported research, including the GEF-funded ABNJ Project, the Pacific Tuna Tagging Project, the Japan Trust Fund Project, and the GEF-funded West Pacific East Asia Project. The fourth meeting of the Intersessional Working Group on the Regional Observer Programme (IWG-ROP4) took place from 6-8 July in Fiji, chaired by Mr Raymond Clarke from the USA. The Programme collects scientific data and independently monitors the implementation of Commission and national rules and regulations. a proposed pre-notification process from observer providers to flag CCMs of possible alleged infringements by their vessels. The inaugural meeting of the Electronic Reporting and Electronic Monitoring Intersessional Working Group took place from 8-10 July in Fiji, chaired by Ms Kerry Smith from Australia. 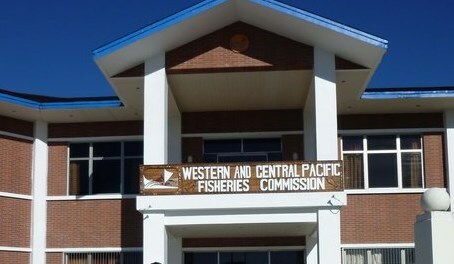 The main output was draft electronic reporting standards which will first apply to five reporting requirements: Eastern High Seas Pocket Special Management Area reporting (CMM 2010-02); High Seas Pocket One Special Management Area reporting (CMM 2014-01 Attachment C); Manual position reporting in the event of ALC/MTU failure; Operational level catch and effort data; and Observer data. Electronic reporting enhances data accuracy, data entry efficiency, reduces the reporting burden and avoids duplication for vessel operators and national fisheries agencies. The draft standards mean electronic technologies can be used to satisfy agreed Commission scientific data and other reporting requirements. They also mean technologies can be developed to suit the needs of countries, vessel operators and the Commission. Electronic monitoring (use of cameras on fishing vessels) is at an early stage of development in the WCPO. These offer potential for enhancing and strengthening management of tuna fisheries. The Regional Observer Programme is unique in that it comprises existing sub-regional and national observer programmes who work with flag countries to ensure a sufficient supply of observers to meet Commission coverage rules. The programme was set up seven years ago. For almost five years there has been an independent ROP observer on all purse seine vessels in the tropical tuna fishery of the western and central pacific ocean.